1	-	"Anyone who doesn't take truth seriously in small matters cannot be trusted in large ones either". 2	-	"At first all thoughts belong to love. After all the love belongs to thoughts". 3	-	"Learn from yesterday, live for today, hope for tomorrow". 4	-	"Those who have the privilege to know have the duty to act". 5	-	"Everyday is an oportunity to make a new happy ending". 6	-	"The more I learn, the more I realize how much I don't know". 7	-	"Coincidence is God's way of remaining anonymous". 8	-	"Any man who reads too much and uses his own brain too little falls into lazy habits of thinking". 9	-	"When you are courting a nice girl an hour seems like a second. When you sit on a red-hot cinder a second seems like an hour. 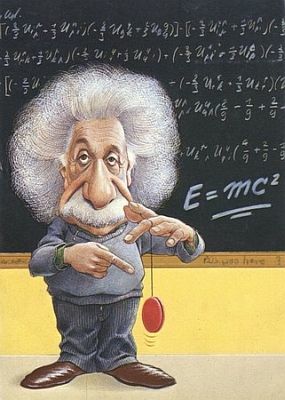 That's relativity". 10	-	“Setting an example is not the main means of influencing others, it is the only means". 11	-	“Two things are infinite: the universe and human stupidity; and I'm not sure about the universe." 12	-	"Intellectual growth should commence at birth and cease only at death". 13	-	"The state should be our servant and not we its slaves". 14	-	"The bigotry of the nonbeliever is for me nearly as funny as the bigotry of the believer". 15	-	"Man usually avoids attributing cleverness to somebody else-unless it is an enemy". 16	-	"The biggest mystery in the world is that it is understandable". 17	-	"The world is a dangerous place to live; not because of the people who are evil, but because of the people who don't do anything about it". 18	-	"The real problem is in the hearts and minds of men. It is easier to denature plutonium than to denature the evil spirit of man". 19	-	“The secret to creativity is knowing how to hide your sources." 20	-	"The value of a college education is not the learning of many facts but the training of the mind to think". 21	-	"The true sign of intelligence is not knowledge but imagination". 22	-	“There is nothing divine about morality, it is a purely human affair". 23	-	“As far as I'm concerned, I prefer silent vice to ostentatious virtue". 24	-	"In the middle of difficulty lies opportunity". 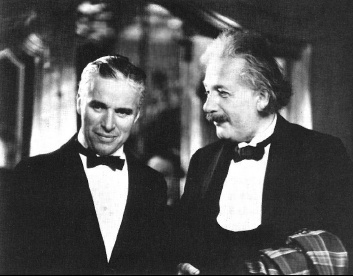 25	-	When Albert Einstein met Charlie Chaplin. 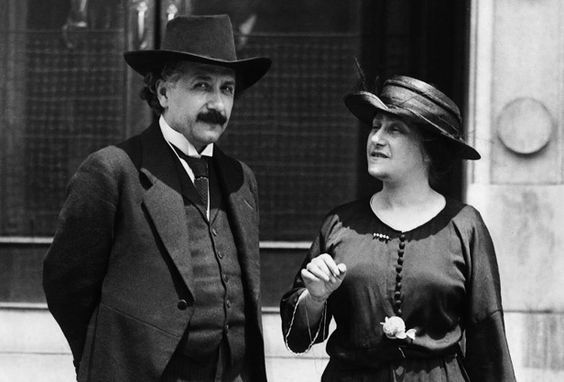 Einstein said, "What I admire most about your art, is its universality. You do not say a word, and yet ... the world understands you." "It's true", replied Chaplin, "But your fame is even greater: The world admires you, when nobody understands you." 26	-	"In the middle of difficulty lies opportunity". 27	-	"It is the supreme art of the teacher to awaken joy in creative expression and knowledge". 28	-	"The real problem is in the hearts and minds of men. It is easier to denature plutonium than to denature the evil spirit of man". 29	-	“I speak to everyone in the same way, whether he is the garbage man or the president of the university". 30	-	"There is a force more powerful than steam, electricity and atomic energy: willpower". 31	-	"Never memorize something that you can look up". 32	-	"Science without religion is lame. Religion without science is blind". 33	-	"Unthinking respect for authority is the greatest enemy of truth". 34	-	"Weakness of attitude becomes weakness of character". 35	-	"Education is what remains after one has forgotten what one has learned in school". 36	-	"The school should always have as its aim that the young person leave it as a harmonious personality, not as a specialist". 37	-	"The formulation of the problem is often more essential than its solution". "A problem without a solution is a poorly stated problem". 38	-	“Imagination is more important than knowledge." 39	-	"Falling in love is not at all the most stupid thing that people do — but gravitation cannot be held responsible for it". 41	-	"The majority of the stupid is invincible and guaranteed for all time. The terror of their tyranny, however, is alleviated by their lack of consistency". 42	-	"The mind is like a parachute… It only works if we keep it open". 43	-	"The intuitive mind is a sacred gift and the rational mind is a faithful servant. We have created a society that honors the servant and has forgotten the gift". 44	-	“The woman who follows the crowd will usually go no further than the crowd. The woman who walks alone is likely to find herself in places no one has ever been before". 45	-	"The word progress has no meaning as long as unhappy children exist". 46	-	"Practice is when everything works but no one knows why. In our lab, theory and practice are combined: nothing works and no one knows why !" 47	-	"Every theory is killed sooner or later in that way". 48	-	"The only source of knowledge is experience". 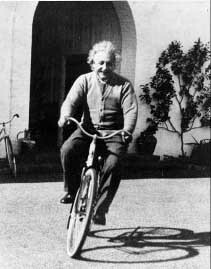 49	-	"Life is like riding a bicycle. To keep your balance, you must keep moving". 50	-	"Life is sacred, that is to say, it is the supreme value, to which all other values are subordinate". 51	-	"As far as the laws of mathematics refer to reality, they are not certain, and as far as they are certain, they do not refer to reality". 52	-	"The important thing is to not stop questioning. Curiosity has its own reason for existing". “Never lose a holy curiosity". 53	-	"What is right is not always popular and what is popular is not always righ"t.
54	-	"Insanity: doing the same thing over and over again and expecting different results". 55	-	"Great spirits have always encountered violent opposition from mediocre minds". 56	-	“Problems cannot be solved with the same mind set that created them". 57	-	"Academic chairs are many, but wise and noble teachers are few; lecture-rooms are numerous and large, but the number of young people who genuinely thirst after truth and justice is small". 58	-	"Try not to become a man of success, but rather try to become a man of value". 59	-	"I know not with what weapons World War III will be fought, but World War IV will be fought with sticks and stones". 60	-	"I have no special talents. I am only passionately curious". 62	-	"Never do anything against conscience even if the state demands it". 63	-	"I never think about the future. It comes soon enough". 64	-	"Few people are capable of expressing with equanimity opinions which differ from the prejudices of their social environment. Most people are even incapable of forming such opinions". 65	-	"You have to learn the rules of the game. And then you have to play better than anyone else." 66	-	"A person who never made a mistake never tried anything new". 67	-	"Be a voice not an echo". 68	-	"It has become appallingly obvious that our technology has exceeded our humanity". 69	-	"If A is equal to success in life, then A = X + Y + Z. Where X is work, Y is pleasure and Z is keeping your mouth shut". 71	-	“Only the Catholic Church protested against the Hitlerian onslaught on liberty. Up till then I had not been interested in the Church, but today I feel a great admiration for the Church, which alone has had the courage to struggle for spiritual truth and moral liberty". 72	-	"Nothing will benefit human health and increase the chances for survival of life on Earth as much as the evolution to a vegetarian diet". 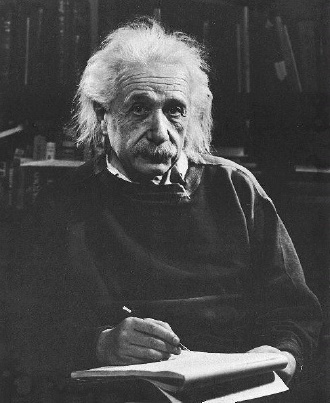 73	-	“The whole of science is nothing more than a refinement of everyday thinking". 74	-	"Everything should be simplified as much as possible, but no more". 75	-	"We are all very ignorants, but not all ignorants of the same things". 76	-	"What a sad era when it is easier to smash an atom than a prejudice". 77	-	"An empty stomach is not a good political adviser". 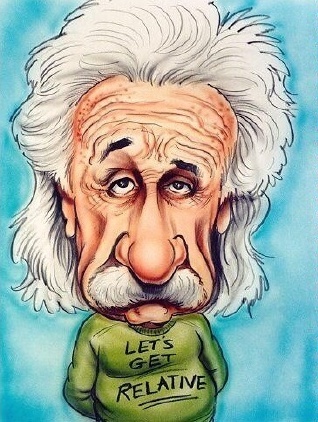 78	-	"Intellectuals solve problems, geniuses prevent them". 79	-	"A perfection of means, and confusion of aims, seems to be our main problem".